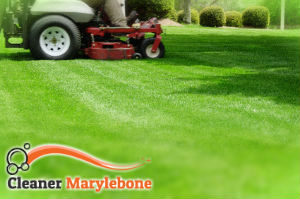 Our company offers budget friendly solutions for garden maintenance in Marylebone and the neighbouring areas. We are proud of offering one-off and regular gardening services including grass cutting, fertilising, aerating, hedge trimming and many more. If you are looking for a gardening service where the quality justifies the money you pay, the best thing you can do is to contact us and schedule a service. If you want to make your backyard or garden a pleasant place to stay, grass cutting is among the first projects you need to get done. When the grass cutting service is delivered, we will also take care of the waste and it will be carefully disposed. 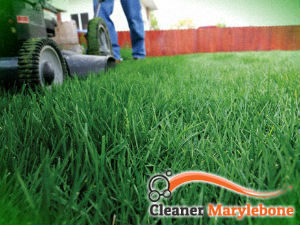 We provide one-off grass cutting as well as regular visits. You decide how often a team of gardeners to visit your Marylebone, W1U – based property and deliver a service. Booking with us means you will get a chance to enjoy a favourite activity instead of running the mower or performing any other gardening task. We can handle the garden maintenance on your behalf. Contact us now and ask our consultants about the wide array of gardening procedures we deliver throughout all London areas. They will provide you with the additional information you require and you will be given an instant free quote. We are positive that no other company offering gardening services will beat the quote we give you. Grass cutting is a must-do gardening procedure unless you want the overgrown grass to ruin the impression for a well-maintained exterior of the property. It does not matter what the size of the area is, we guarantee our gardening experts will handle the project sooner than you expected. They have the most powerful mowers and trimmers that enable them to exceed the expectations of every demanding customer in W1U.